Sometimes I'm asked to create spin-offs of other authors' work. 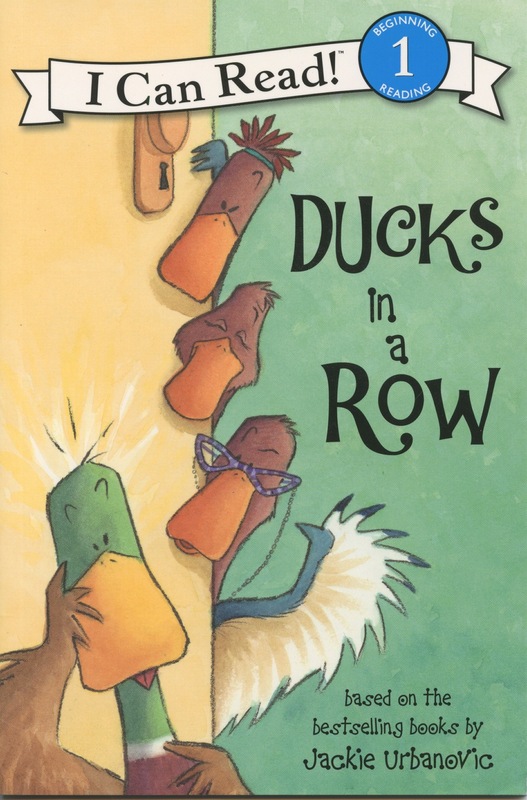 Here are some easy-to-read books I wrote based on best-selling picture books by Doreen Cronin (Diary of a Worm, Diary of a Fly, Diary of a Spider) and Jackie Urbanovic (Duck at the Door, Duck Soup). Worm loves his teacher, Mrs. Mulch. He wants to give her the perfect birthday present. But will he think of an idea in time? Easy reader. Ages 4 to 7. HarperCollins, 2013. Worm is delighted when his class gets a pet, Nat the Gnat. That is, until Nat gets lost...on his watch! Easy reader. Ages 4 to 7. HarperCollins, 2014. Max wants to feel useful, but no one needs his help. Then Aunt Pat, Aunt Dot, and Aunt Flo come to visit, and keep Max on his toes all day long. Max can hardly wait for things to go back to normal! Easy reader. Ages 4 to 7. HarperCollins, 2010. Irene is out for the day, leaving Max in charge. But when Max comes down with spring fever, Irene's to-do list gets turned upside down! Easy reader. Ages 4 to 7. HarperCollins, 2012.